Good Hotel is a hospitality concept by the profit for non-profit Good Group, merging premium quality with social business and doing good. The iconic logo is a strong and recognizable 'coat of arms' that symbolizes the mission of the innovative hotel brand: Premium hospitality with a cause. Brand / Branding sample (handmade in Guatemala). 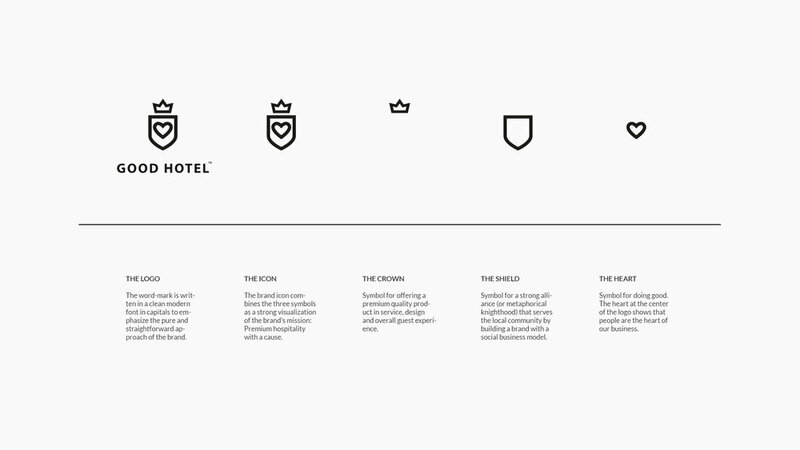 Grid / Good Hotel brand identity with framed fields for logo, info and name. Stationary / Letterhead, business card and notepad with GOOD IDEAS pencil. Muneca cards / Welcoming card inspired by Guatemalan legend. Merchandise / Tote, tee and beanie. Good to go / To-go and merchandise items. Good stuff / Do-Not-Disturb sign, (Guatemalan) soap packaging and hair dryer bag. 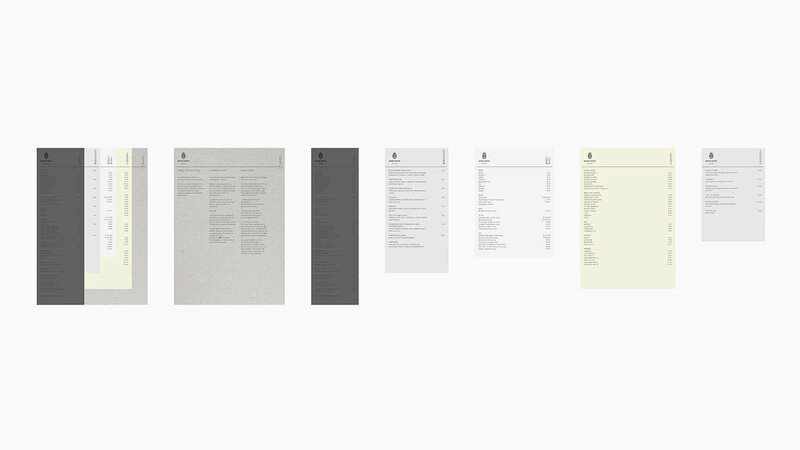 Menu / Modular sheets: Good storytelling, drinks, breakfast, beer/wine, liquids and cocktails. Signage / Water-cut stainless steel signage to match the industrial feel of Good Hotel London.